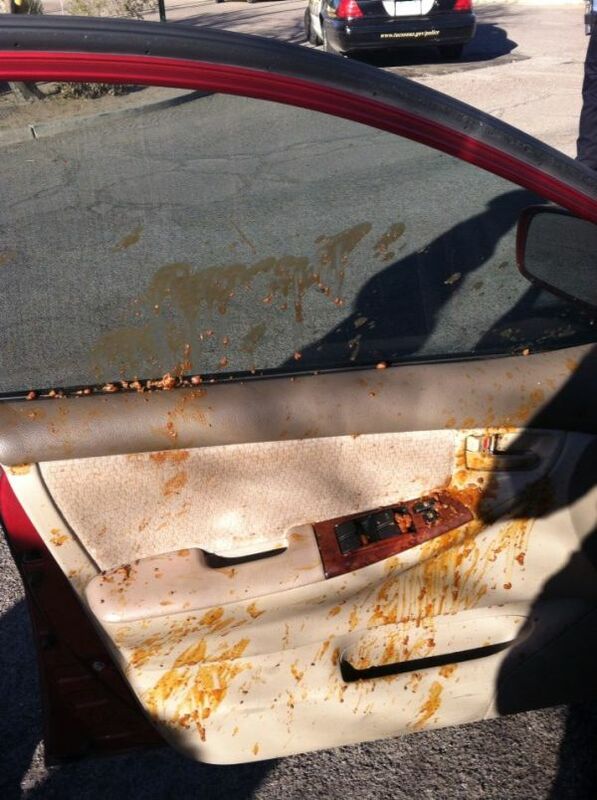 Please drive carefully when you got chili in your car. Yeah, How does that happen? 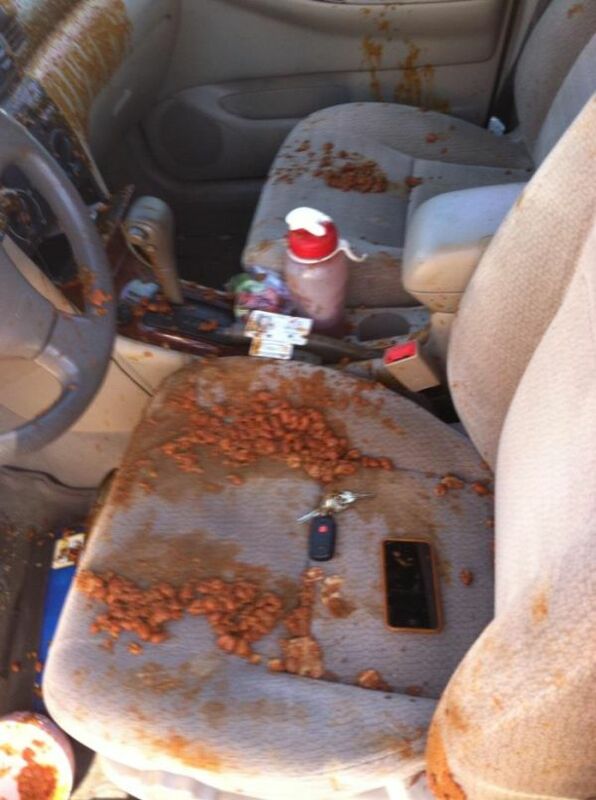 Probably had to take the chili to a party and was about to crash the car, then hit the brakes and.... boom!! 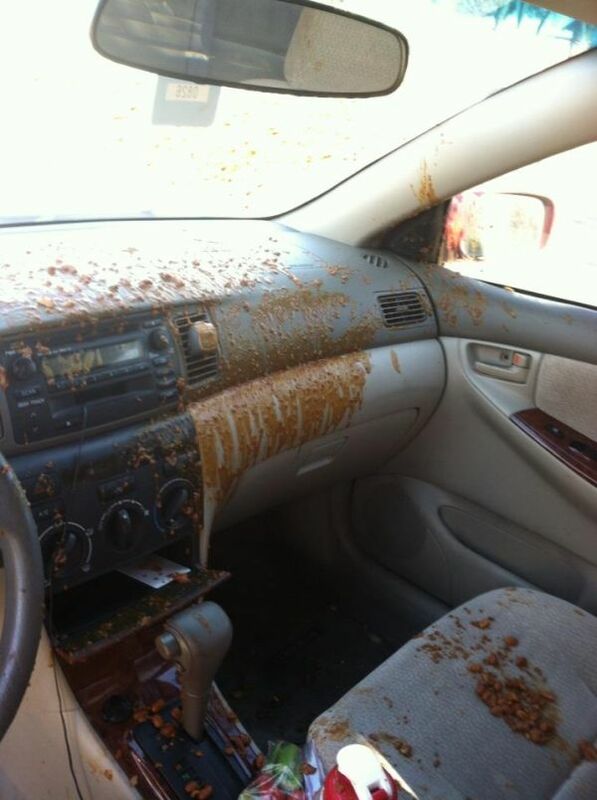 Chili explosion.